The Body-Solid Bronze 7' Olympic Power Bar OB86PB is the most essential piece of equipment for every gym or club with design integrity that has been devoted entirely to super strength and superior performance. Precision engineered from special high strength, stress-proof alloy steel with rolled-in knurling to avoid adding stress points. Incredible 200,000 P.S.I. strength allows 1500 lbs. capacity. The Bronze 7' Olympic Bar is “Made in the USA” with special high-strength, stress-proof alloy steel performance tested to withstand even the toughest of workouts. 150,000 lbs. tensile strength, olympic medium knurling and a premium bronze finish ensure the perfect balance of strength and durability. Perfect for both olympic lifts and CrossFit exercises. Call 1-800-875-9145 to speak with one of fitness advisors with any questions you may have about the Body-Solid Olympic Power Bar Chrome. 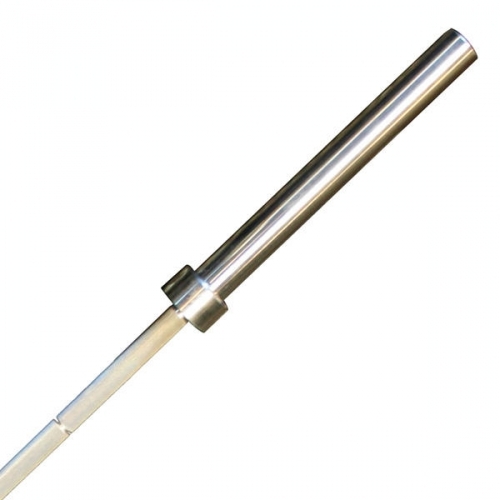 Order your Body-Solid Bronze 7' Olympic Power Bar from FitnessZone.com today!